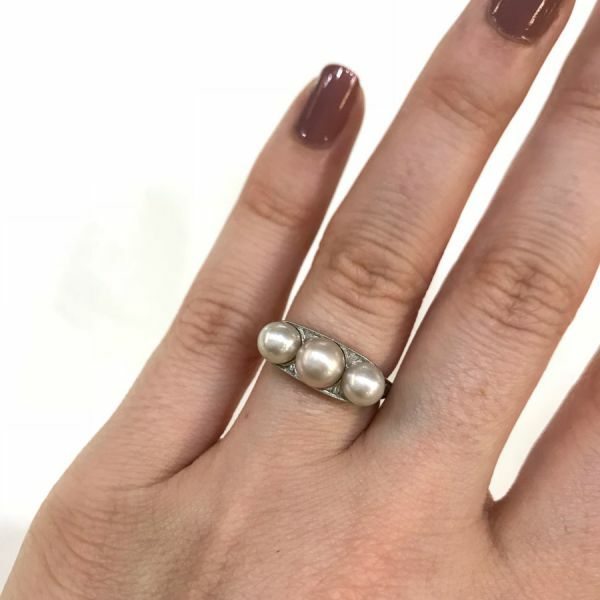 A beautiful Edwardian platinum ring featuring 3 cultured pearls, two of which are white and the centre one- rosy in colour - with silvery overtones, approx. 5.44-6.31mm; 2 old European cut diamonds, est. 0.03ct (SI clarity: I-J colour) and 2 old European cut diamonds, est. 0.20ct (SI clarity: I-J colour).